Albuquerque, NM- Earlier this month Abortion Free New Mexico made a formal request to the University of New Mexico (UNM) Chancellor for Health Sciences, Paul Roth asking him to transfer 72 aborted baby remains harvested for their recently terminated experimental research program, to a local mortuary, so that they may receive a proper burial. In a letter dated August 31, 2018 addressed to Tara Shaver, Roth denied the request for their burial and has refused to treat these babies with the dignity and respect they deserve. 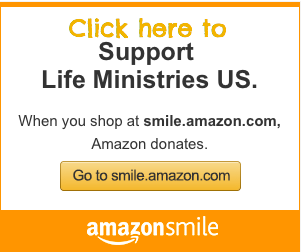 For years, the University of New Mexico has been acquiring harvested aborted babies solely from the notorious late term abortion facility, Southwestern Women’s Options, located in Albuquerque, NM. Since the exposure generated by the release of the Center for Medical Progress videos followed by subsequent complaints filed by Shaver that generated referrals from the U.S. Congress, UNM has had to come clean about their use of these babies for experimental research. Most recently the University has halted it’s program, presumably to prevent legal action from the federal government due to the possible illegality of their program using aborted babies. The University of New Mexico, however, still has 72 baby remains that they are unsure what to do with. Roth’s refusal letter indicates that the mothers of these 72 aborted babies “proactively chose” to donate their remains to be used for medical research, but according to consent forms obtained by Tara Shaver in 2012 and 2015, the women did not “proactively” choose, but were obligated by the nature of the “consent” form to donate the aborted baby’s remains in order to obtain their abortions. This lack of informed consent was the basis for Shaver’s formal complaint to Attorney General Hector Balderas in July 2015. Roth states his refusal to allow the babies to be buried by Abortion Free New Mexico because they were explicitly intended for experimental research, does this mean that the University of New Mexico will continue their nefarious research at a future date? Paul Roth’s decision to deny burial to these 72 aborted babies further promotes a culture of death in New Mexico. We are not talking about medical specimens or tissue, but human beings with inherent value, who deserve to be treated with dignity. These babies were harvested for experimental research not by the choice of their mothers, but by obligation from the Southwestern Women’s Options consent form. Denial of a proper burial demonstrates the callous disregard for human life that still remains at UNM that the pro-life community must continue to oppose. 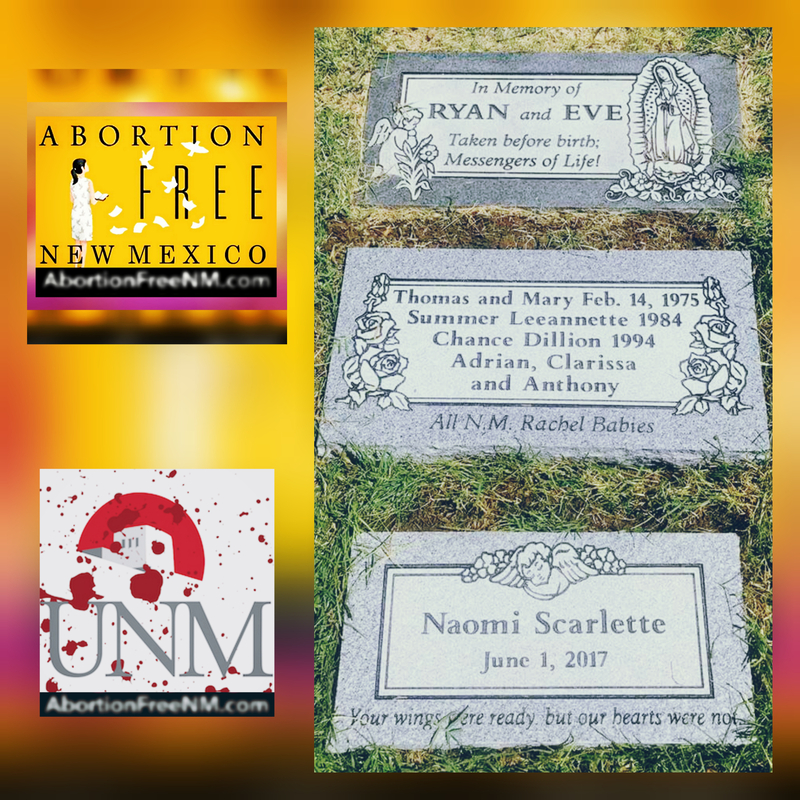 “Abortion Free New Mexico will be hosting the annual National Day of Remembrance for aborted children on Saturday, September 8th at 10:00am. We encourage all people of faith and conscience to attend this memorial to affirm the lives of aborted children who each day are discarded from their mother’s wombs as biohazard waste or used for experimental medical research. We have the opportunity this Saturday to stand in solidarity with the defenseless victims of abortion whose lives we value and to promote a culture that affirms life. By doing so we acknowledge and affirm that every baby is created in the image of God,” stated Tara Shaver spokeswoman for Abortion Free New Mexico.